Lorenzo Musetti, Giulio Zeppieri and Jannik Sinner will appear in the main draw of the ATP Challenger 80 indoor hard-court event. 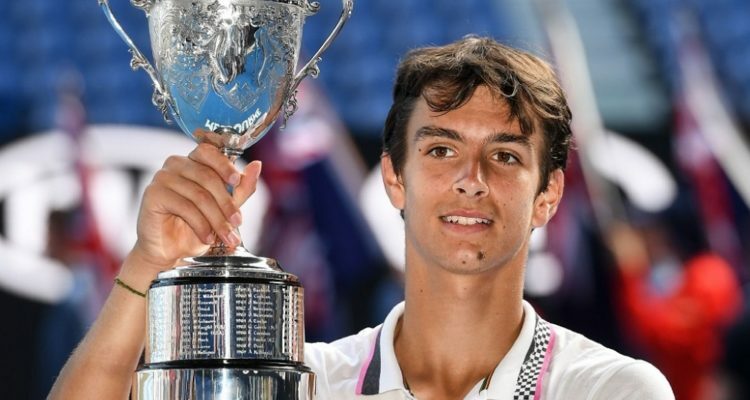 Reigning Australian Open juniors champion Lorenzo Musetti will appear in the main draw of the Internazionali di Tennis Trofeo Faip-Perrel, held from 18 to 24 February 2019 at the PalaAgnelli in Bergamo. The 16-year-old from Carrara was awarded a wild card by the Italian Tennis Federation. Musetti will play his only third professional tennis event at senior’s level and is seeking his first ATP Ranking points. The teenager from Italy qualified for the ITF Futures clay-court tournament in Pontedera 2017 and lost in the opening round to Swedish veteran Christian Lindell in straight sets. One year later he returned to Tuscany and entered the main draw with a wild card, but fell to Jose Pereira of Brazil after winning the first set in his first round match. Musetti is the current World No. 2 of the ITF Junior’s Ranking after he defeated Emilio Nava from the United States in the singles final in Melbourne last month. Musetti will be joined at the ATP Challenger 80 event in Bergamo by 17-year-olds Giulio Zeppieri from Rome and Jannik Sinner. Left-handed Zeppieri is the current World No. 837 in the ITF World Tennis Tour Ranking. Sinner finished runner-up at the 2018 Santa Cristina Val Gardena Futures to Peter Heller and captured one doubles title at this level last year. The teenager from South Tyrol earned a spot in the ATP Ranking at World No. 550 and has one big goal: “I want to be like Andreas Seppi. He’s been a giant role model since childhood, to become like him, that would be a dream. I work hard and always do my best,” Sinner was quoted by Sport News.bz in April last year. The tournament in Bergamo can become a springboard for all three Italian young guns, having the chance to follow in the footsteps of Fabio Fognini or Andreas Seppi. And by the way, last year’s champion was Matteo Berrettini. This entry was posted in ATP Challenger Bergamo, ATP Challenger Tour and tagged ATP Challenger Tour, Bergamo, Lorenzo Musetti.